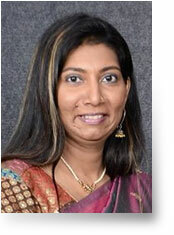 Magdalene Jeyarathnam, is the founder and Director of East West Center for Counselling and Training (P) Ltd.
Magdalene is a board certified psychodramatist. She is the first Indian Psychodramatist to be trained in India. She started her training in 2009 and was certified in October 2016 by the Australia Aotearoa (New Zealand) board of psychodrama through the Psychodrama Institute of Melbourne. Her teachers included Dr Herb Propper (USA), Sue Daniel(Australia), Dr Jorge Burmiester(Spain/ Switzerland), Saphira Linden(USA) and Donna Little(Canada). Magdalene also founded the Indian Institute of Psychodrama in 2013 in order to pave the way for others in India to be trained and certified within the Indian borders. Experience in training of Integrated Counselling and testing centres (ICTC) teams for HIV counselling in almost all districts of Tamil Nadu. Peer counselling training (LGBT community) in collaboration with Shakti Center funded by LLH Norway Nov 2009 to Jan 2010. Planning the Annual international conference in Expressive Arts Therapy. 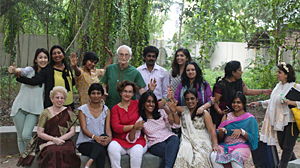 Founding and collaborating on an association of Expressive arts therapists in India. Expressive Art therapy diploma certificate course in Women’s Christian College from 2011. IAGP – International Association for Group Psychotherapy and Group Processes.